On 02/05/19 at approximately 6:16 PM the Plainfield Police Department received a 911 call from a lost ATV operator. The female was identified as Melissa Lamprey 44 years of age of Spaulding Road. The female said that she was in the woods off of Spaulding Road and had become lost and was almost out of gas and her cell phone was almost out of battery life. 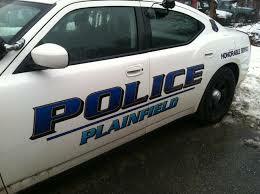 Detective Gadue and Dispatcher Cargene of the Plainfield Police Department were able to obtain GPS coordinates and relayed them to officers on scene. Officer Wells and Officer Schwarz entered the woods on foot and were able to locate Lamprey at approximately 6:48 PM using those coordinates. Lamprey was in an extremely rough section of wooded area and officers then walked her out to the main trail. Lamprey was then picked up by members of the Plainfield Fire Department by all-terrain vehicles and escorted her to a waiting ambulance. Lamprey was transported to the Plainfield Backus Emergency Room by American Legion Ambulance for evaluation.